Thank you for choosing spaRelaken Torrance. spaRelaken’s goal is to serve not only our customers but also our community. To achieve this goal, we take our efforts to save our planet. We hand picked all of spa amenities such as body soup and toner. They are high quality eco-friendly products so that they are easy on your skin and our environment. 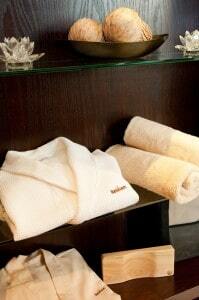 We use 100% cotton sheets, bathrobes and towels. We wash all of our linens with natural laundry detergent that won’t harm plants and soil. We also care saving water on laundry. We have a special water filter machine (six layer filters) to produce fresh Hydrogen drinking water and serve it to our customers. We are located inside of Miyoko Hybrid Hotel (U.S. Government Green Building Council LEED certified). We work together to improve our environment. Our home, California has been facing a serious droughts. We think it is a part of our job to run our business environmentally friendly as possible and give back to our planet. One California drought winner? The local car wash.